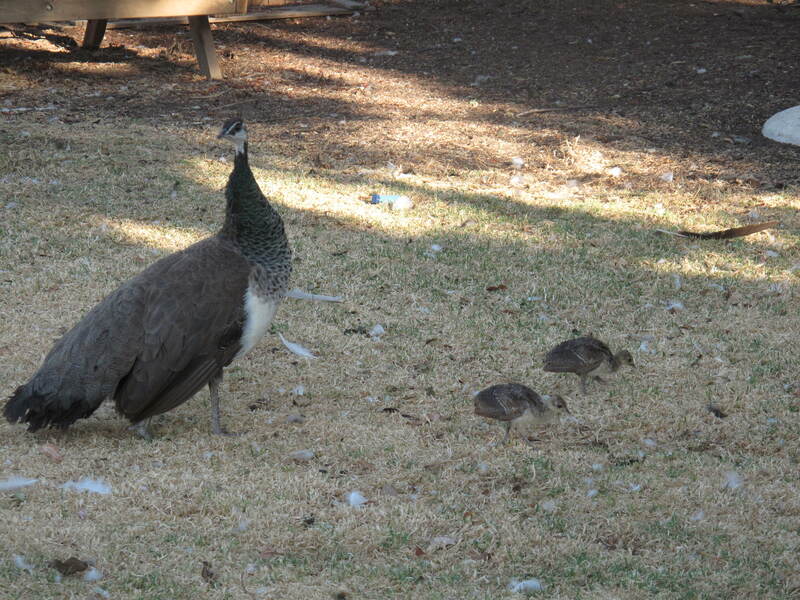 It has been fascinating to watch Queenie and the peachicks out and about. They roam freely now everywhere and are quite used to my presence. 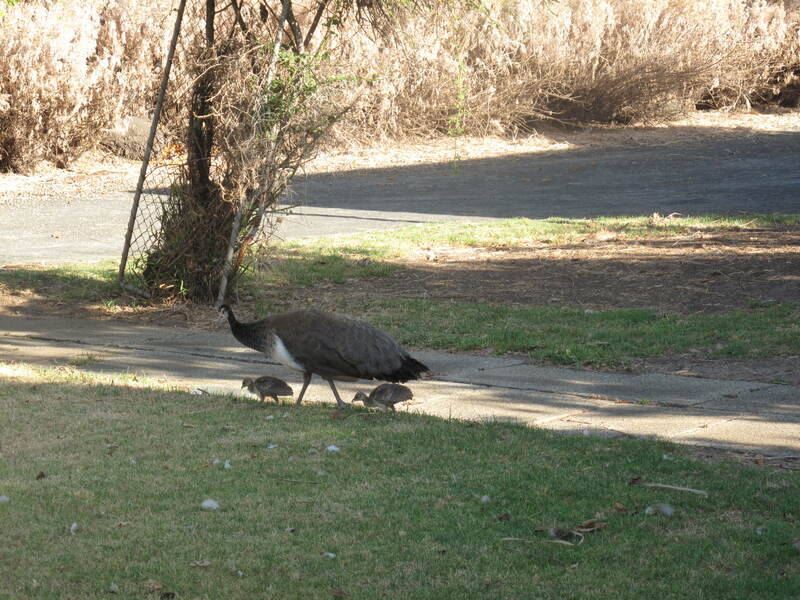 Sometimes they forage on the lawn just outside my office door where I can watch them and talk to them through the fly screen. It’s almost as if they have come over to say hello. 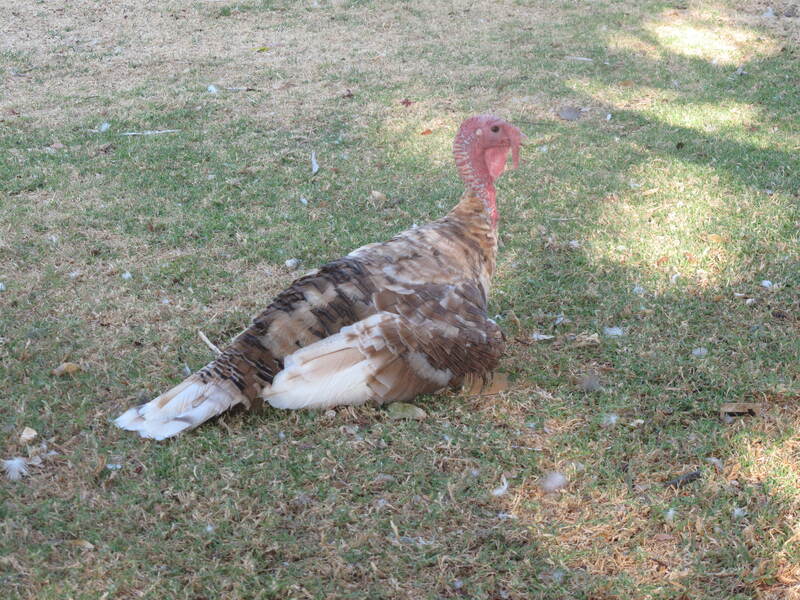 I still haven’t found a mate for Baby Turkey, but I promised him I would by next week and he perked up a little bit. 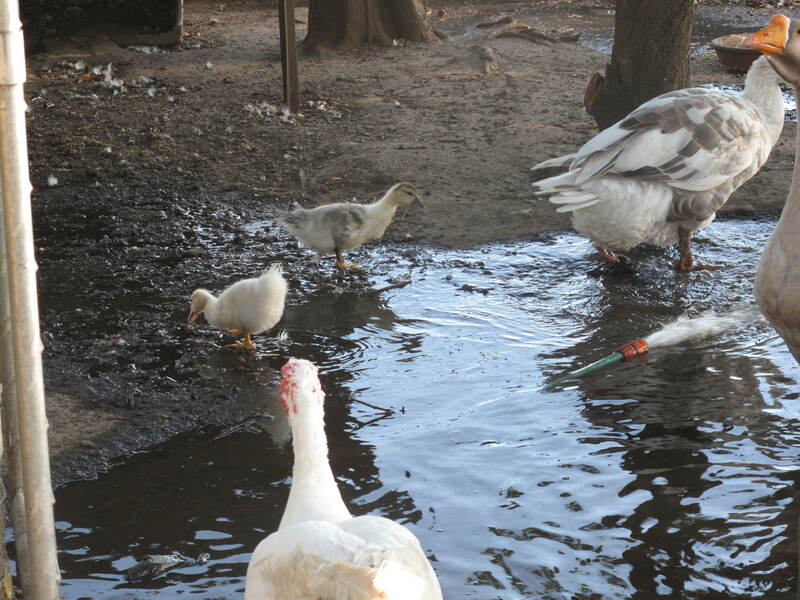 Godfrey and Zaruma, despite being male, continue to guard the ducklings. They are out and about for much of the day now too, always with the two male mothers guarding them – Godfrey with hisses and Zaruma with a little smile on his funny face. This morning my mother came over and we cried together and it was like a gift of rain on a rose bush thought dead, but now budding again; it was like a single dewdrop until you see there are hundreds of them; it was like a hidden stream, full of pebbles and tadpoles and lilies and, well (I can’t help myself here!) ducklings. Motherhood is a powerful thing. 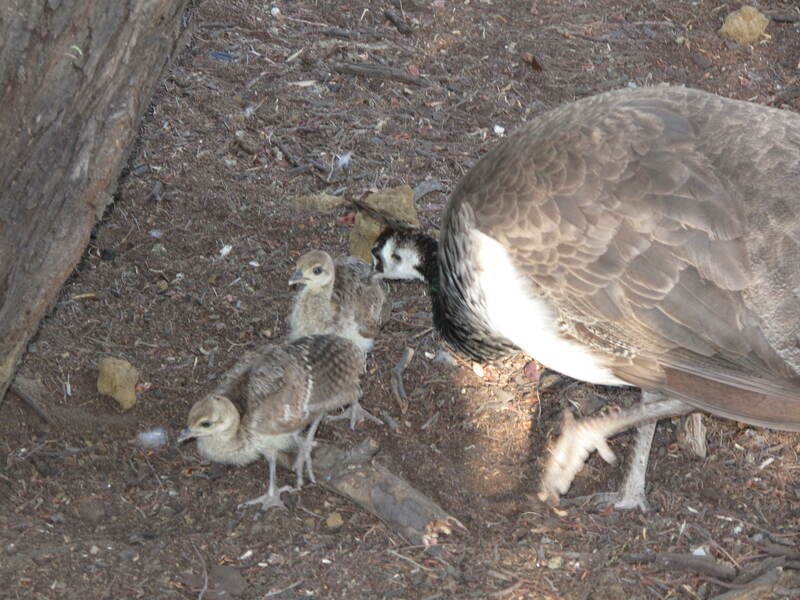 Aw-w-w..It is so nice to see them out as a family, and still can’t get over the geese being so protective. Birds are so much fun to watch. Wish I’d noticed birds earlier in my life. Haha re the waxing poetic! I’m sure you’re right – haha! 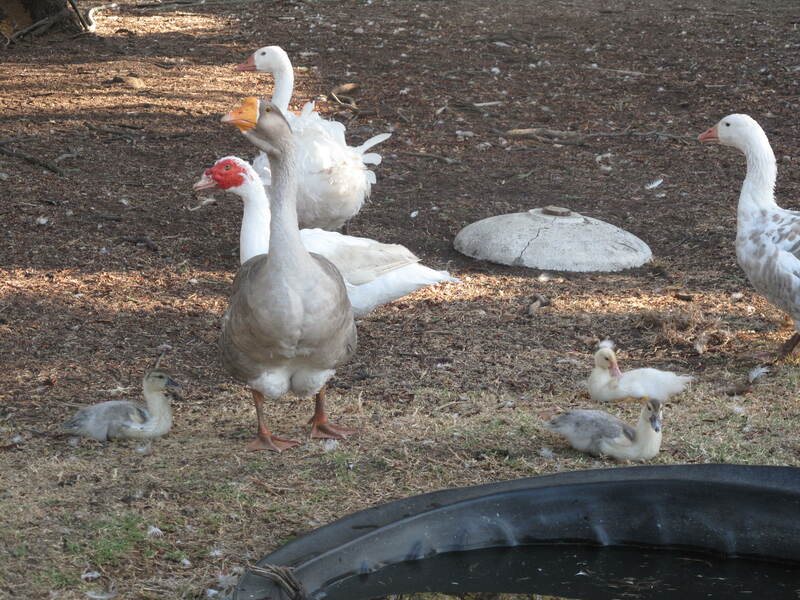 I am still a bit of a novice with this bird/duck/goose thing so it’s all a bit new to me. And you ARE all knowledgeable bullgod! They are beautiful aren’t they. this is a powerful message and SO true of motherhood. There is nothing quite the same. My mother is my rock. I like the stories you weave about your birds. Poignantly lovely. Love those babies. Very cool the males are guarding them. Nice post. Made me smile. Thank you.